Finally got the opportunity to do some fishing yesterday. The last few months have been a bit hectic, and when I have made it out, I haven't had much luck. 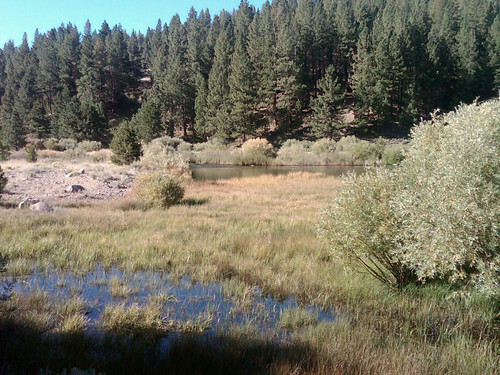 After checking the water flows, I decided that the Little Truckee would be my best bet. I figured the river probably had a lot of pressure over the weekend, but since I was fishing by myself, it was a much easier river to navigate. I got up to the river around 6:45, and the fall air was in full force. I started just below Stampede, throwing a nymph stack consisting of a Bead Head Copper John (18), a WD-40 (18), and a Red Zebra Midge (18) with a Green Ice Dub Collar and Black Tungsten Bead Head. For the first hour or so, I had to fight some ice build up in the eyelets, and even had to put on my gloves... it was chilly. I worked my way down the river about a mile or so, without any luck, hitting various spots where I had seen fish holding previously. At about 10 am, I decided to work my way back up to the truck. I noticed a large PMD hatch between 10 and 10:30, and the hoppers were starting to show up as the temps got into the 70's, so I decided to tie on a Foam Hopper (Hoppicator size 12), with a Copper John and an Olive Zebra Midge dropper setup. 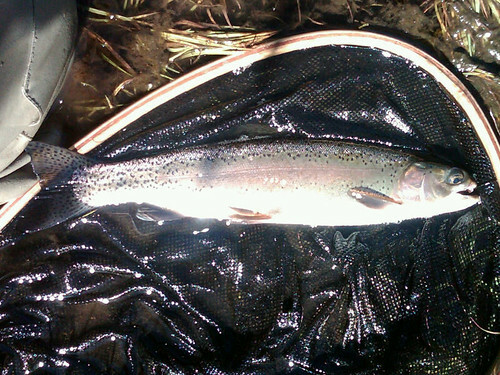 Within about 10 minutes, I hooked and landed my first fish, a nice little rainbow around 10 - 12 inches. I managed to false hook another smaller rainbow about 10 minutes later, but he gave me the fisherman's release and headed back to the depths. 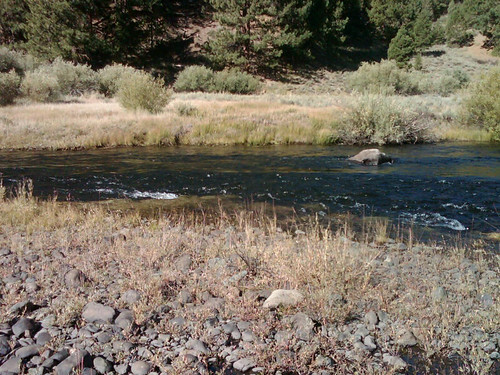 The Little Truckee is in really good shape right now with flows around 220 CFS. Be sure to have plenty of small nymphs, and some PMD's in the size 18 - 22 range. I noticed some surface action before noon, but I think surface feeding picks up when the shadows hit the river.